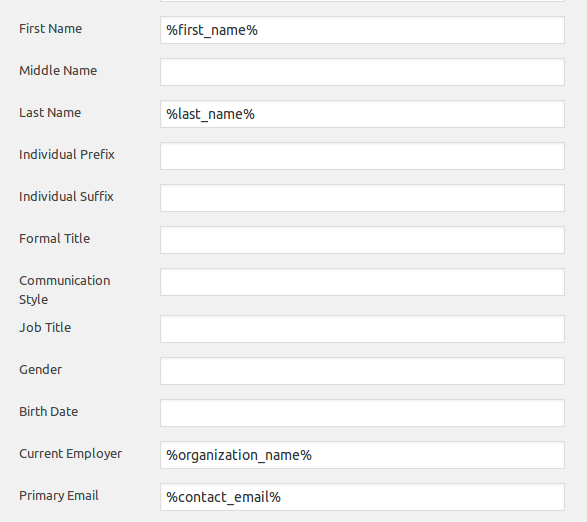 When collecting information with a form on your website, you’re generally asking a single person to provide information about themselves: name, address, phone number, etc., but there are times when you need to collect information about multiple individuals to include in your CiviCRM database. For example, you may want to ask for details about parents and children, organizations and employees, or other types of relationships between one contact and another. 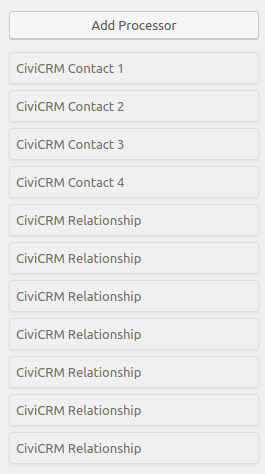 With Caldera Forms CiviCRM (CFC) you can create a form that allows for multiple contacts to be added to CiviCRM along with the associated relationships. For example, if your form requests contact details of an organization and an employee, the relationship between these two contacts is created by using the Current Employer field. Simply add the magic tag used for the Organization Name to the individual contact processor and you’re done. For any other type of relationships between contacts you’ll need to use to Relationship processor, which allows you to set a relationship between two or more contacts when the form is submitted. Start by selecting the “Relationship Type” using the drop-down, then map the appropriate contacts in the fields provided (Contact A, Contact B). The information collected by each Contact processor will be added to CiviCRM; the Relationship processors map the relationships between parent and children and the relationships between the children. If a parent has more than one child, information can be added conditionally so that information is added or updated in CiviCRM only if the field is filled out. Asking up front how many children someone has allows you to set the conditions for when the contact details and relationships should be sent to CiviCRM.